The 4KSummit and the Spanish National Team, both sponsored by Movistar, will unite football and new technologies on November 8th in Malaga. The Spanish National Soccer Team and the 4KSummit, whose main sponsor is Movistar, will offer on November 8th in Malaga, an innovative and unique opportunity to see the World Cup and the three Euro Cups won by ‘La Roja’, and enjoy Esports and the latest innovations in Ultra High Definition, Virtual Reality and Augmented Reality. Movistar’s ‘4Kopas‘ will take place throughout Wednesday, November 8th, at the Digital Content Hub in Malaga, coinciding with the inauguration of the third edition of the 4K-HDR World Summit, organized by Medina Media, which brings together television professionals from more than 20 countries of four continents. 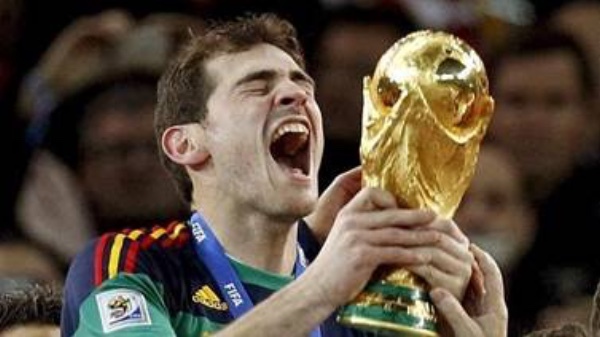 Spanish football fans, of any age – and especially the youngest- will be able to take pictures and immortalize the ‘4Kopas‘ moment and, at the same time, they will be able to test eSports, virtual reality and augmented reality devices. 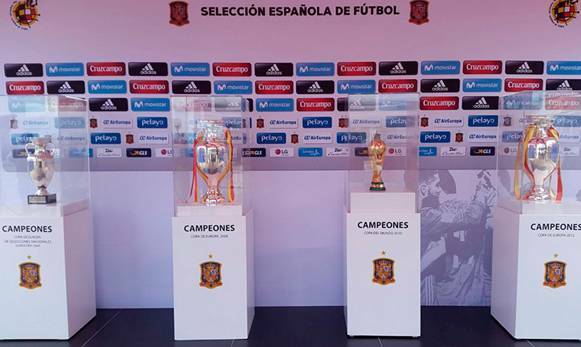 The 2010 World Cup and the three Euro Cups won by ‘La Roja‘ (1954, 2012 and 2016) will be exhibited in the ‘Ágora‘ room of the Digital Content Hub of Málaga, a new technological space that has 6,000 square meters, formerly the Tabacalera factory in the capital of the Costa del Sol. The 4K cameras of Medina Media will record the four cups won by the Spanish National Team in Ultra High Definition for the first time. This recording will be part of the documentary that Medina Media is producing about Andalusian advances in new technologies, digital content and Ultra High Definition. The president of Telefónica Spain, Luis Miguel Gilpérez, the mayor of Malaga, Francisco de la Torre, and the president of the Provincial Council, Elías Bendodo, will be the first to open the parade of fans from 12 in the morning until 9:00 p.m. hours. Throughout the day, fans can also enjoy the ‘Survival‘ area dedicated to eSports, and a show-room with 12 different virtual and mixed reality devices controlled by the 3inTech and Stega companies, based in the Hub. In addition, and free of charge, fans will be able to access the exhibition halls of Sony, Dolby, Fujifilm and Rohde & Schwarz that will showcase the latest cameras and equipment in Ultra High Definition that will be used in future retransmission of 4K matches. For the first time in the history of Technology and Content, the 64 matches of the 2018 World Cup in Russia will be offered in 4K-UHD (Ultra High Definition) to the whole world. In addition, the World Cup of Russia 2018 will serve as a test for Virtual Reality braodcasting, which will also be analysed in the 4KSummit. This technological-sporting event will be a warm-up for the match between the Spanish National Soccer Team and Costa Rica that will be played on November 11th, at La Rosaleda stadium in Malaga, as preparation for the 2018 World Cup.